WooHoo.....you read it right... 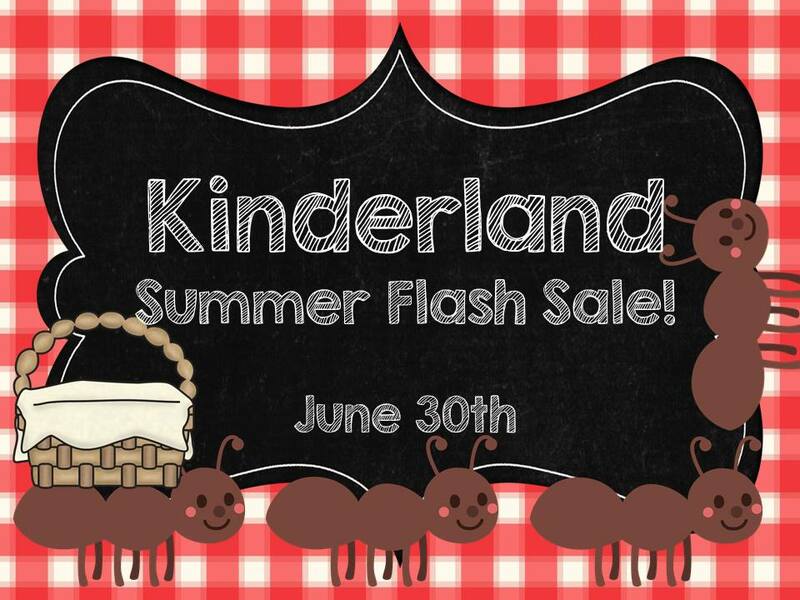 I am linking up with some Kinderland friends for a one day TPT sale.For one day only, Sunday June 30th, you can grab some great deals and get a head start on getting ready for August. I know, I know...we just got out for the summer. I'm planning on getting everything set up now with my classroom decorations and beginning of the year activities so I don't feel the time crunch in August. Last summer I made some classroom theme sets. These are not activities, they are decorations such as nameplates, tags, labels, table numbers etc with a theme. I currently have Bees, Ocean, Red, and Monsters. The labels in these sets are NOT editable...sorry. Since that time I have created one new item that does have editable labels. It is a colorful dot set which includes a word wall, font, and a variety of labels and tags that you can edit in PowerPoint. Let's Get Hoppin' uses the colors aqua, green, pink, black and white with a frog theme. All About Monsters is aqua and green with polka dots and lots of cute monsters. All About Red is red and white with a ladybug theme throughout. The Beach/Ocean theme set is a colorful set with an ocean/beach theme throughout. Colors include bright pink, aqua, yellow, orange and green. The Bee Happy set is a sunny yellow set with lots of bees buzzing through. I also have a set called Blue and Red Polka Dots, which is all fun polka dots. You can grab these sets for under $4 during the sale!! I also have some of my word walls currently set as FREEBIE's in my store so be sure the check that out! 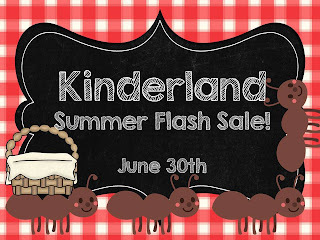 My monthly homework packets for Kindergarten will also be discounted for the sale so if you are missing any of the months you can grab them at a discount. Hope everyone is having a wonderful summer! !